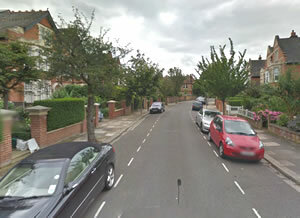 Which Are Acton's Most Desirable Streets? There are two 'millionaires' rows' in Acton according to a new analysis of property sales in the W3 area. Over the last three years property sales in Hale Gardens and Shaa Road have average over one million pounds according to Land Registry data. The table below shows Acton's top twenty most desirable streets based on recent sale prices. The averages are calculated by taking any road with at least three transactions taking place in it during the last three years. This may mean that some roads may not be included because houses on them don't come to the market very often. So far this year Acton property has seen brisk turnover with the average price of a home around £400,000. A regular market review of the local property scene appears in our newsletter. You can click here for the latest update and analysis.